Lopez Island is the third largest of the San Juan Islands & an unincorporated town in San Juan County, Washington, United States. Lopez Island is 29.81 square miles in land area. The 2000 census population was 2,177. Though in the summer time the population swells, as people with second homes, rental houses and campsites fill up. Lopez Island is the first ferry stop of the San Juan Islands which is a popular outdoor paradise. Ours is the flattest (not totally flat) and most rural of the ferry served islands. The landscape varies from wooded forest to open farmland and a rocky coastline full of picturesque beaches. It is a great place for bike riding and kayaking with a number of public beach access points and magical places to explore. The surrounding environment is full of wildlife and sea life. Our community is a close-knit group of retired people, young people, and then folks like us, middle-of-the-road people. 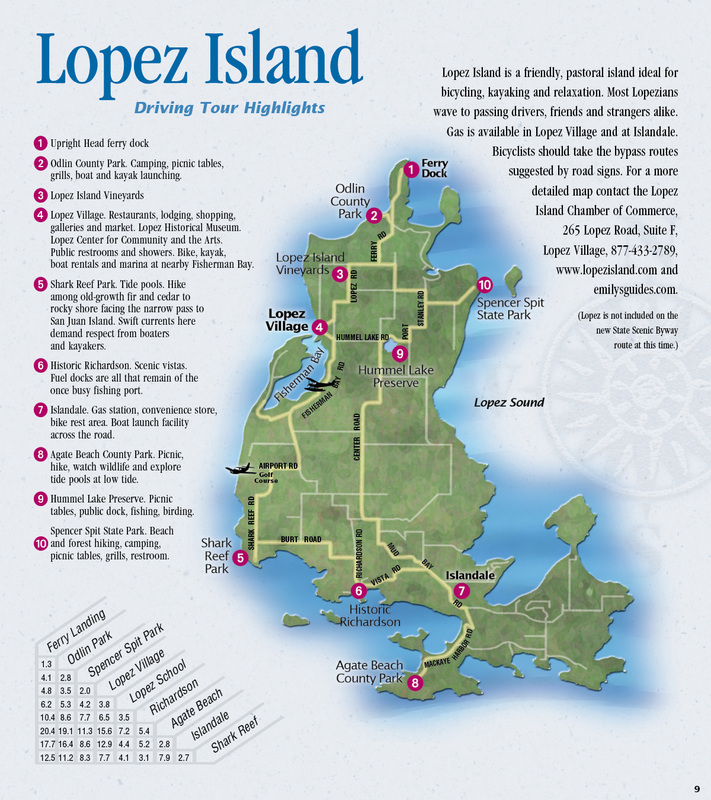 For more information about visiting our quaint little island, visit Lopez Island Chamber of Commerce. Photos Courtesy of Lopez Chamber of Commerce.